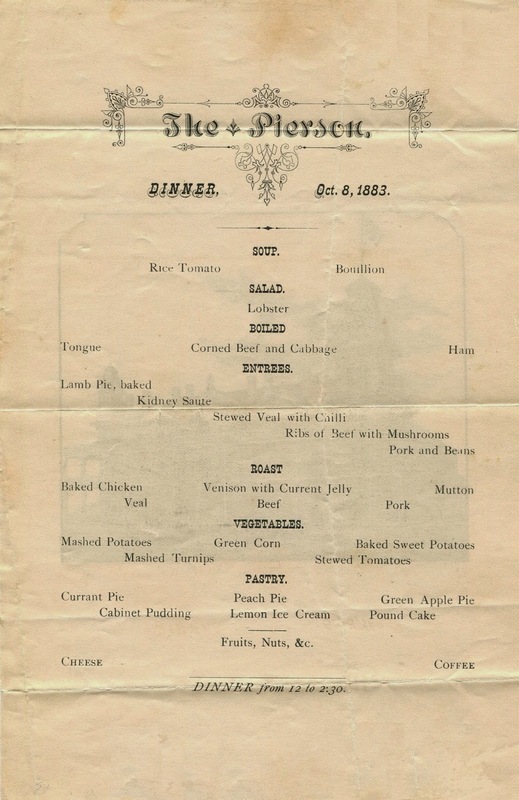 What made this daily menu from the Pierson Hotel so reassuring was its adherence to the standardized foodways of the era. It features the usual meat dishes like corned beef, lamb pie, and pork and beans, along with the perfunctory list of roasts. There are a few vegetables, simply described as mashed, stewed, or baked, and only one regional dish—stewed veal with chili. 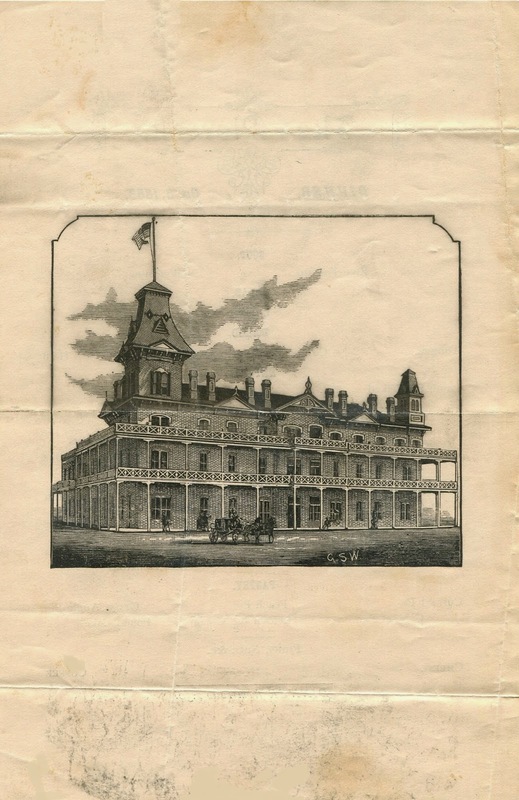 Overall, this bill of fare reflects what hotels (of its class) in other parts of the country were serving that day, or on any other day for that matter. During the nineteenth century, table d'hote menus did not vary much by region or by season. They were reassuringly predictable, especially for someone like Stevens who suddenly found himself living at the edge of civilization. 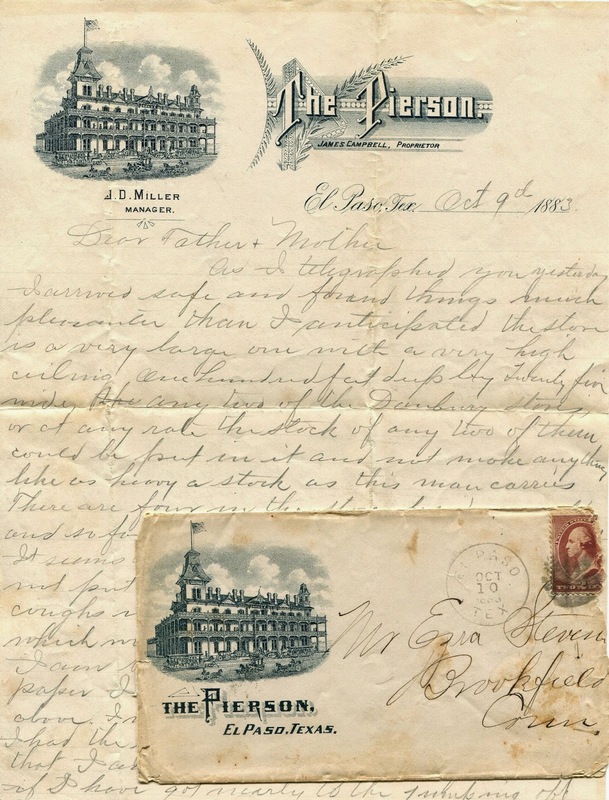 In the letter transcribed below, J. T. Stevens describes his first impressions of Texas, including his bemused reaction to people from another culture who sat down on the floor in his store to eat their lunch. As I telegraphed you yesterday, I arrived safe and found things much pleasanter than I anticipated. The store is a very large one with a very high ceiling, one hundred feet deep by twenty-five wide. Any two Danbury stores, or any rate the stock of any two of them could be put in it and not make anything like as heavy a stock as this man carries. There are four in the store besides myself and so far as I can judge are very pleasant. It seems to be quite healthy here. I have not put up a single preparation for coughs in the two days I have been here which would be very unusual in New York. I am boarding at the hotel whose paper I am using a cut of which appears above. I will enclose a bill of fare which I had the first day, that you may see that I am not entirely out of the world if I have got nearly to the jumping off place. I had a long tiresome ride coming across Texas and although I saw many things which interested me I was ready to stop when I reached this place. Cotton was the most interesting thing I saw in the vegetable kingdom although Chapparal (sic), Mesquite, Cactus, Yucca, and Cottonwood all were interesting. As for animals I saw Coyotes, Antelopes, and Donkeys. Among the birds were Hawks, Buzzards and any quantity of Quail & Duck.